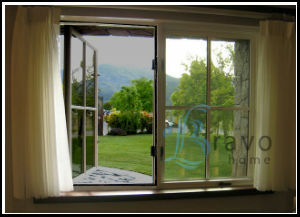 Fiberglass Insect Screens for Windows, Doors by Bravo. Mosquito Screens. 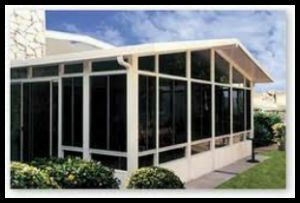 Bravo Flexascreens are custom made insect screens or mosquito screens. Our products are the authentic bug and insect screens. 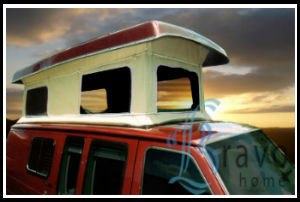 They are designed to fit any type of window, door or other opening, regardless of their size or shape. Our products are manufactured to your exact measurement, so a perfect and precise fit is ensured every time! We use only the finest quality materials and construction to give you the best products available at affordable pricing. Our products are easy to measure and install. There is no need to have a professional install them as they are simple and easy. You are able to do it yourself and with no tools required. In minutes you will be enjoying all the benefits. Bravo products provide you with complete insect, fly, mosquito and bug protection. Even the smallest critters will not enter. Our fiberglass insect screens are made of highest quality flexible fiberglass mesh that provide you with a resilient and durable product that will last for years. We have three fiberglass meshes to choose - resilient fiberglass mesh, solar coated fiberglass mesh and pet proof fiberglass mesh. All three give you free flowing fresh air circulation. As well, the mesh is specially coated to ensure that the color and flexibility of the mesh will endure for years to come. In addition, when in use Flexa products will not obstruct or detract from your views. They are the most affordable screening option for your windows, doors and opening. The tight mesh ensures no bugs, but it will not detract from your views or prevent ideal air circulation. This means that you are able to keep your doors and windows open to keep your living space cooler and more comfortable during the hot season. This also means low electricity bills as there is less need for air conditioning or fans. Flexascreens are ideal for those odd shapes openings that standard or traditional screens will not accommodate. They are securely fastened or attached with Velcro™ strips to your window, door or opening's frame, so there is easy attachment and removal when needed. They provide a tight seal and will not blow off, break, distort, expand or damage under proper use. We have two Velcro™ color choices as well to help you blend easier. The applications are limitless and we are continuing to find new uses for our products, thanks to our customers who let us know how they are using them. Windows (including casement, sash, awning, hopper triangular, arched and odd shaped), Doors, Gazebos, Porches, Lanais, Sunrooms, Pet Screen, Skylights, Green Houses, Boats, Houseboats, RVs, Vans, Trailers, Campers, Fire Escapes, to secure opening and so much more! Call us at 1-800-446-1626 for how we can help you screen your living space. We know you will love our products as much as we do and find even more uses for them than we have!